Injection moulding is used to create many of todays every day products and devices, the monitor surround you are viewing our website on is an injection moulded assembly, the chair you are sitting on no doubt has plastic moulded trims castors or endcaps, almost all products available today have injection moulded parts in some shape or form. 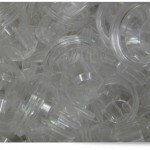 Injection moulding is the most common method of part manufacturing. 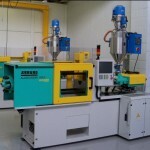 It is ideal for producing high volumes of the same component. Advantages of injection moulding are high production rates, repeatable high tolerances, the ability to use a wide range of materials, low labour cost, minimal scrap losses, and little need to finish parts after moulding. Our Tooling and Design departments provide the complete solution for new product development and introductions. Starting from as early as the concept stage, or from receipt of finished designs, we can project manage through to product launch and then into on-going production. 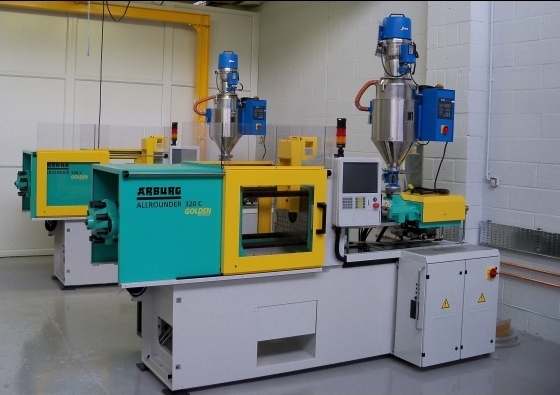 We offer tool sampling and process optimisation in an environment with a wealth of both tool making and injection moulding knowledge to ensure mouldings of the highest quality.